These seven pollutants might be hiding in your home. The air in your home might not be as clean as it seems. Even if it smells as fresh as air imported straight from the Swedish Alps, it could be hiding minor pollutants. In low levels, they’re probably harmless. But as they build up year after year, they might build up to dangerous levels. The best way to protect yourself is through air quality testing. This is a simple process that collects a sample of air from your living space and tests for the presence of potentially dangerous compounds. Home kits can allow you to collect a sample and mail it off a lab to be analyzed. Here are some of the most dangerous pollutants that an air quality test might uncover. You might think that if you have a carbon monoxide detector in your home, then you don’t have to worry about this poisonous gas. But carbon monoxide detectors only alert you if the levels of carbon monoxide are concentrated enough to warrant the immediate evacuation of your house. If carbon monoxide stays below this level, then you won’t be notified unless you get an air quality test. If you have a gas stove or fireplace, you almost certainly have at least a trace amount of carbon monoxide in your home. While small amounts are nothing to worry about, , it’s still best to check your air. Slowly rising levels of carbon monoxide might indicate that something is wrong with your gas appliances. If this is the case, then you should get them inspected by a technician. Radon is a byproduct of decaying uranium. It’s normally found naturally in the soil, but most of the time, it dissipates into the open air in harmless amounts. However, if there are gaps in your foundation, there might be a chance that radon could seep into your home. Radon is the leading cause of cancer among non-smokers. According to the EPA, an estimated 2,900 people die per year of radon poisoning. Radioactive material is measured in picoCuries per liter of air, or pCi/L. The average indoor radon level is 1.3 pCi/L. If a home indoor air quality test detects levels that exceed 4 PCi/L, then you should immediately get it corrected by installing a radon mitigation system. Before people knew better, asbestos was a material used to insulate homes. Unfortunately, researchers discovered that it's responsible for mesothelioma, a particularly deadly form of lung cancer. If your home was built in the last 40 years or so, you probably don’t have to worry about this material in your home. If you live in an especially old house and have never checked for asbestos, then an air quality test is long overdue. Mold can grow any area that’s damp and dark. 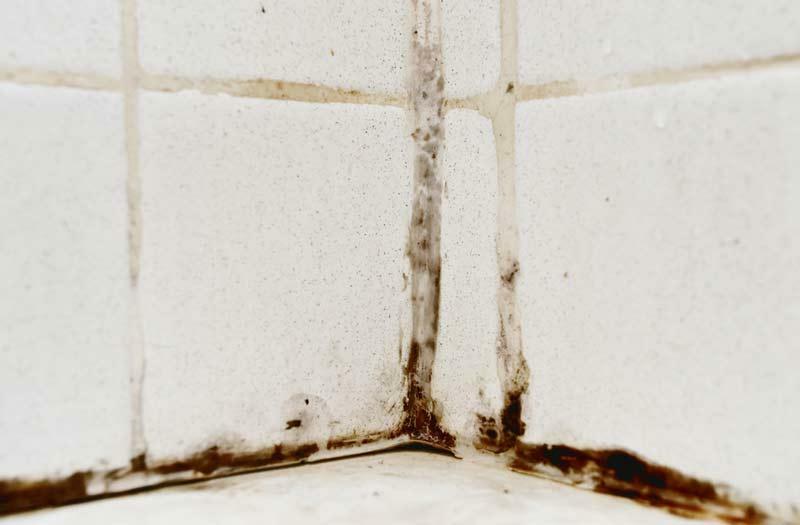 For most homes, that means that mold infestations start in either your bathroom or basement. Mold also typically grows in outdoor sheds. Unchecked mold growth might lead to rashes, and in extreme cases, it can even cause neurological problems. Unfortunately, there is no easy way to remove mold. It usually requires an EPA-approved face mask, rubber gloves, and a mixture of water and bleach to scrub the mold away. If you don’t feel equipped to handle it yourself, most local flooding and restoration services can remove mold for you. “Volatile organic compounds” (VOCs) is a catchall term for materials that slowly release vapor over time. They can be found in paint, glue, air fresheners, and some plastic household products. How badly these affect you will depend on the amount of VOCs in your home and your level of sensitivity. For sensitive people, even small levels can cause headaches and nausea. There are two ways to deal with VOCs: ventilation and prevention. Homes normally contain two to five times more VOCs than the outdoors, but this can be reduced just by having a well-ventilated house. You should also familiarize yourself with products that contain VOCs, and avoid having them in your home when possible. You should be especially cautious when you’re painting or stripping paint, which can cause VOC levels to reach levels 1,000 times higher than the outdoors. Caused by natural human and animal shedding, dust and dander are perfectly natural and safe in small amounts — but they might cause problems if concentrations get too high. Biological contaminants in large amounts can cause allergic reactions. The best cure for dust and dander buildup is old-fashioned house cleaning. Vacuuming, mopping, and wiping down surfaces regularly should keep dust and dander down to safe levels. So if you’ve been neglecting your chores recently and notice your allergies flare up whenever you’re at home, maybe it’s time to finally break out your Hoover. Do you pay a service to keep rodents and bugs away from your house? Exterminators almost certainly use poisons. While the levels of pesticides and other poisonous substances usually never rise to a dangerous level, they can build up over time. 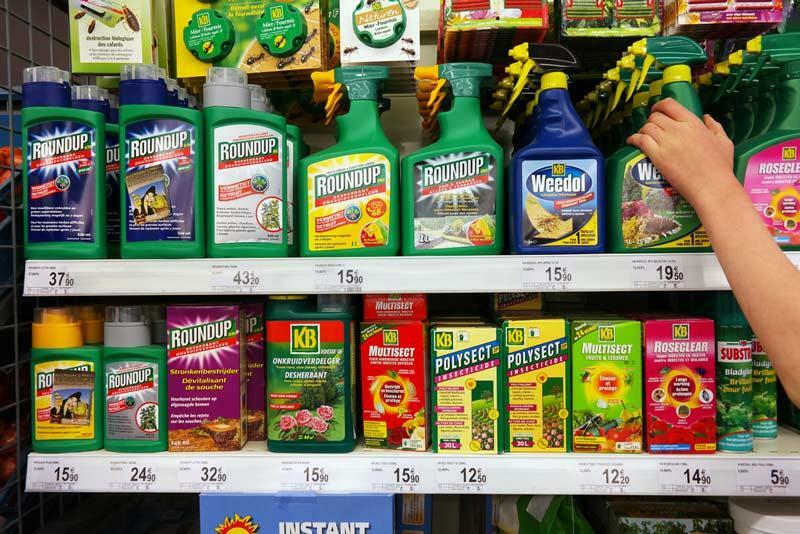 Long-term exposure to pesticides might lead to chronic headaches and cancer. If your home contains worrying levels of pesticides, then it’s best to switch to nontoxic means of pest control like diatomaceous earth. Have you ever done an air quality test in your home? Tell us about it in the comments. "Radon is the leading cause of cancer among non-smokers."